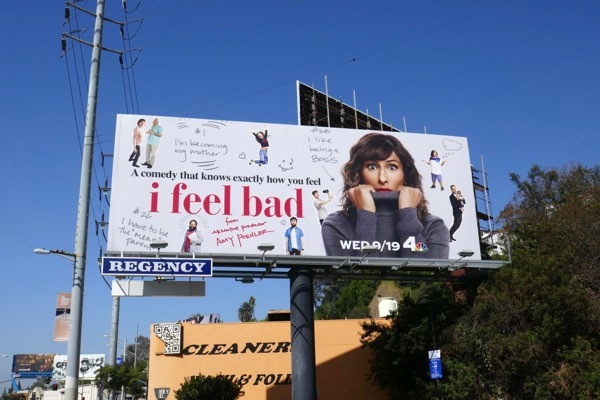 The new fall TV season continues with a new comedic offering from NBC in the form of I Feel Bad. 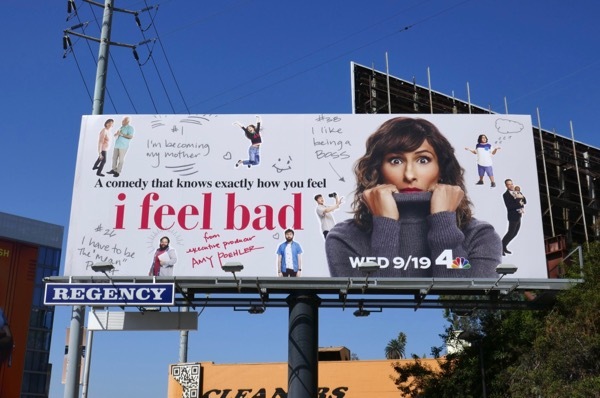 Sarayu Blue stars as 'Emet', someone trying to figure out how to be the perfect mother, boss, wife, daughter and friend, but learning it's okay to be imperfect too. 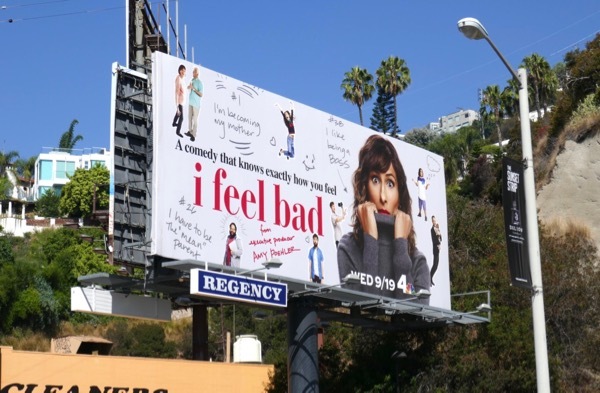 Paul Adelstein plays her husband 'David', whilst Madhur Jaffrey stars as her mother and Brian George as her dad in this family and workplace comedy. 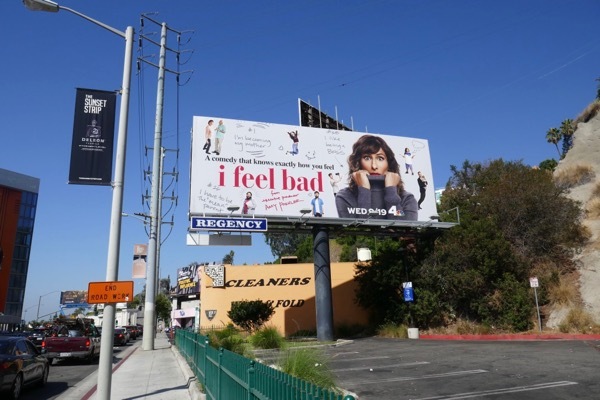 This series launch billboard for the freshman show was snapped along the Sunset Strip on September 7, 2018. There are many truths in life, nobody can have it all without making a few mistakes along the way and we all turn into our mother in the end.